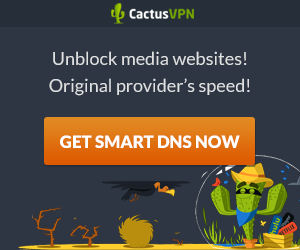 CactusVPN, established in 2011, is a Moldova based VPN service provider that has already emerged as one of the best logless VPN service providers in the VPN industry, offering users with high quality online security and privacy, as well as a virtual means of accessing blocked, censored or otherwise restricted online content. CactusVPN is committed to develop applications and services that provide an open access of the internet, as well as protect users’ online privacy. With 20 VPN-servers in even 6 Countries, self-owned and maintained, CactusVPN offers a comprehensive reach to its users and empowers them to access blocked and restricted content on the internet. CactusVPN works on Windows, Mac, Android, iOS and Linux with best-in-class Internet security and privacy for anonymous surfing. They continue to grow their customer base and service offerings as an ever-greater number of internet users are adopting the use of VPN. In this CactusVPN review, I prefer to discussed about its pricing plan with features first. They offer 5 different VPN service plans: US VPN Plan, UK VPN Plan, Liberty VPN Plan, VPN+SmartDNS Plan and SmartDNS Plan. Undoubtedly if you want the best experience, then you are surely recommend to test their VPN+SmartDNS package as it allows the best features for its clients. Let’s have a look at their pricing plan. They also offer ‘Free Trial’ for 24 hrs which may be surely useful for testing the performance of the service. This free trial is just slimier to main plan without any limitation. Qiwi (for Russia, China, Brazil, India, South Africa, Romania, Panama, Peru, Chile, Malaysia, Vietnam, Argentina, Colombia, Serbia, Latvia, Ukraine, Georgia, Belarus, Moldova, Kazakhstan, Tajikistan and Kyrgyzstan). This provider currently has 20 VPN servers located in 9 countries across the globe to accommodate their users and their authorities have full control to them and all servers are entirely managed personally by their technical staff. Admin access to servers is not provided for any third party. With unlimited speeds and unlimited server switches, you can connect from anywhere in the world. And they have been proven as reliable in maintaining server uptime. So there’s no need to worry about your VPN not being available. They do have servers with satisfactorily excellent speeds. They handpick servers that live up to their high standards of security and privacy. These are perfectly access controlled, and they are the only ones that operate them — no one else. They do not store IP addresses, nor do they store other identifiable logs. Each server supports all popular protocols, including: PPTP, L2TP/IPsec, OpenVPN, and SSTP. CactusVPN has installed their 20 VPN-servers across different locations: 4 servers in United States of America (Los Angeles, Kansas, Manassas, Chicago), 5 servers in United Kingdom, 1 server in France, 1 server in Germany, 1 server in Canada, 2 servers in Romania, 1 server in South Korea, 1 server in Australia and 4 servers in Netherlands. CactusVPN has developed their VPN client apps for Windows, Mac OS X, iOS, and Android. You can also set them up manually too with up to AES-256bit encryption on those operating systems as well as on Windows Phone, routers, Ubuntu, Chromebook, Boxee Box etc. In this CactusVPN review, I’ll depict an overview of the security and privacy level of their VPN client software in detail. Their powerful VPN software is built by their experts to establish a secured and encrypted VPN connection between your computer and their quality VPN server networks. All in-and-outgoing connections is anonymized and no third-party can see your real IP address and geolocation. For ensuring utmost online privacy and security in any situation, CactusVPN offers the following compatible VPN protocols that work with your different Operating Systems and Devices: OpenVPN (UDP/TCP), SSTP, L2TP/IPsec, IKEv2, PPTP and SoftEther. AES-128 for OpenVPN, SSTP, L2TP/IPSec and SoftEther VPN protocols. 128 bit MPPE for PPTP VPN protocol. Contrary to common beliefs, the AES-128 encryption is not necessarily weaker than the AES-256. The AES-128 is very strong and it cannot be cracked through full-scale search on the key. Although you may be entitled to think that longer keys offer more security benefits, the truth is that an algorithm can’t be “less broken” than “not broken”. So there is no additional benefit for security from cranking up the key size to 256 bits. The above image shows a Canada IP address 149.56.182.1 which was perfectly altered by CactusVPN and my real IP address assigned by my local ISP is absolutely invisible there. Perfect performance. You see that CactusVPN uses google’s public DNSs. They use it with proper encryption, so your privacy is OK with them. So, does CactusVPN client software have the capability to protect your local IP address from being leaked through WebRTC? To ensure complete protection, CactusVPN added this ‘Kill Switch’ feature in their VPN software that disconnects all your internet activities if the VPN connection drops. It means when kill-switch is enabled and the connection interrupts, the client software automatically blocks all outgoing network connections. This is an optional feature so you can switch it on if you feel the need. VPN is here to provide security and anonymity to users. But, this tool only manages to protect the user’s privacy until it is connected. In most disconnection cases, users do not even realize that their VPN connections have stopped working. Cyber criminals and surveillance agencies stay on the lookout for these few unprotected moments to get into a system and compromise its security. Luckily, this will not be the case anymore with CactusVPN users, because CactusVPN has introduced the Kill Switch feature in its new Windows VPN App. CactusVPN is incorporated in Moldova which is great news if privacy is your priority. Because, Moldova, besides having no data retention law applicable to VPN service, lies outside US or EU jurisdiction. Moldova is also comfortably outside the direct influential boundary of or groups like Five Eyes or Fourteen Eyes, and it is a remarkable plus point for CactusVPN as a VPN company for privacy. CactusVPN has adopted a 30 day refund policy for their VPN services if you aren’t completely satisfied with their service. That means If you wish to claim a refund, you can do so within 30 days following your purchase of their VPN service. However, before refunding, they will troubleshoot an issue you experience first. There may be several nuances to a VPN service configuration and they are proud to solve your issues encountered. Apart from this, they offer a 24hrs free trial option with all features included for all of their potential customers. I personally consider a 24hrs time is enough to judge the performance grade of a VPN service before purchasing any package. Yet you can always require a refund (within 30 days) if you can’t use our services, meaning you can’t connect to any of our VPN servers or Smart DNS services. In regards to Smart DNS you may ask for a refund if any of the websites from the unblocked websites list are still blocked for you. According to my personal observation, CactusVPN service seems pretty professional when it comes to customer care and support. They have got 24/7 live chat for instant feedback, and there is also a contact form. Detailed setup guides for all devices and OS also help you out throughout the installation process and aid you with the VPN apps download. Apart from everything else, there is a FAQ section with enlightening details.